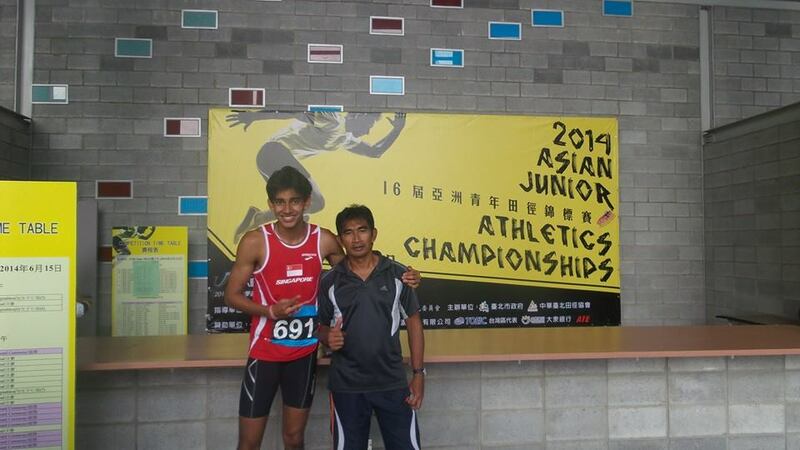 Zubin with his coach Kamarulzaman Tahir. Photo & videos courtesy of Coach Gabriel Lim. Zubin Percy, Muncherji ran 47.29 seconds at Asian Junior C’ship in Taipei, Taiwan during Round 1 of his 400m qualifiers yesterday. The superb run erased the old hand-timed mark of 47.4 seconds held by Godfrey Jalleh and Haron Mundir. His second place finished afforded him to advance to the next round where he was seeded third for the finals to be held the next day. In the finals held earlier this afternoon, the 18-yrs-old finished fifth with a credible timing of 47.74 seconds. His effort in Taipei earned him a place at the upcoming July IAAF World Junior C’ship, the 400m qualifying mark for this competition was pegged at 47.70 seconds. Zubin’s previous PB was 48.69 seconds set at this year National Schools. He is coached by Kamarulzaman Tahir. 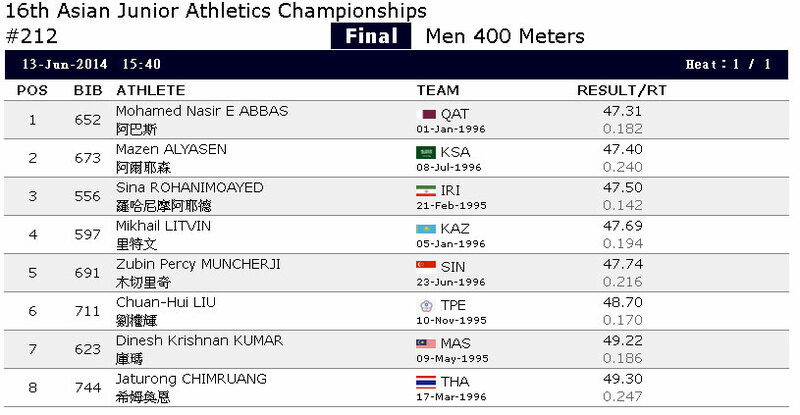 He is also slated to run the 200m event at the Asian Junior, which will be flagged off tomorrow at 3:25pm, heat #3. His record is pending ratification by SAA.